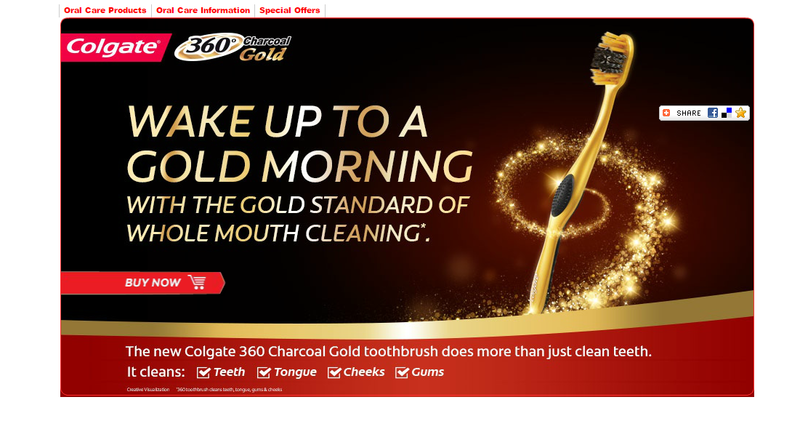 The Colgate Charcoal Gold campaign on Yahoo! India today unfortunately gave us a couple of direct insights into ‘what not to do’ while executing a digital campaign. 1. Always write copy on an opaque background and check for readability. This is basic UX and should have been caught at the banner testing stage. The copy here is unreadable since the background is translucent. It is best to keep brand messaging and visuals simple. 2. The banner clicks to a static landing page with very little additional information. The static image then clicks to the product page on Amazon. The best user experience here would have been to use rich media optimally to deliver messaging and provide users with a ‘Buy Now’ option that would click directly to the Amazon product page. Rich media is a great vehicle to land detailed brand messaging and content including imagery, videos etc., which is frequently under-utilized by brands. Most of this content is delivered on user initiation which makes it a great engagement tool. In case it is important for you as a brand manager to get users to your website/ microsite, it is important to ensure that they get a little more than what they saw in the ad. Some form of interactivity or engagement would be a great starting point. 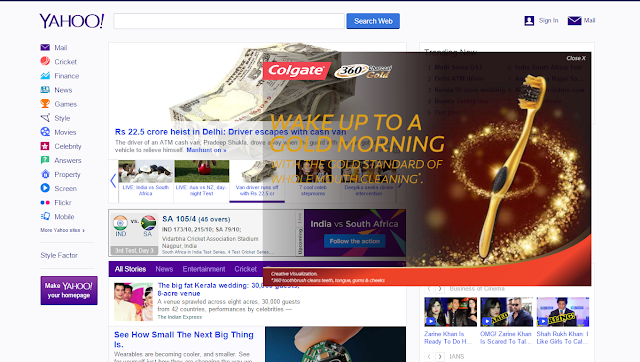 Labels: Colgate, Colgate Charcoal Gold, CPG, Microsite, Rich Media, Rich Media Watch, user experience, Yahoo India, Yahoo!